Behold the new TV spot for Marvel's Captain America: Civil War! So many cool images in this spot, it's hard to pick a favorite. However, that badass Iron Man wrist-watch armor has to be number one. United we stand. Divided we fall. 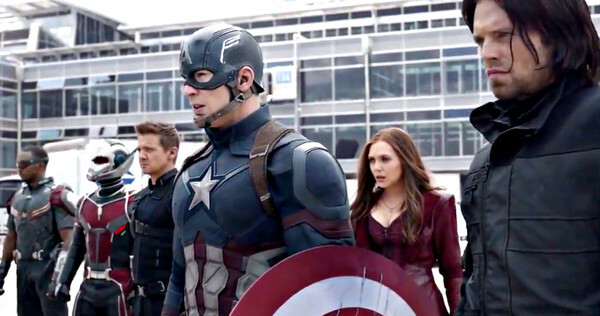 See the official #CaptainAmericaCivilWar Big Game spot. Before everything Look At This because coolmathgames are unique games. However, Pbs Kids Games for Kids are also good. Cool Math run 2 is a good game for gamers. And in Tile Puzzles 2048 game is getting famous. Now lets talk aboutBad Ice Cream 3 which is a simple game. FreePCGamez.com is huge platform for pc games. In this site you can download your desired games for pc freely.